Not much gardening has been happening over the past couple of weeks - raking up leaves, tending to the compost heap, neatening edges, nothing exciting. 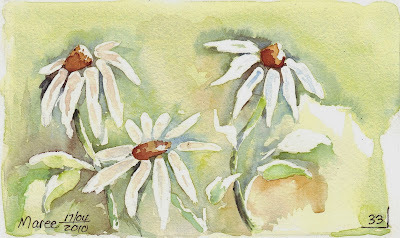 I've got no Shasta daisies in my garden this year, but I've always had a patch somewhere. What happened? (Note to self: get some more Shastas). 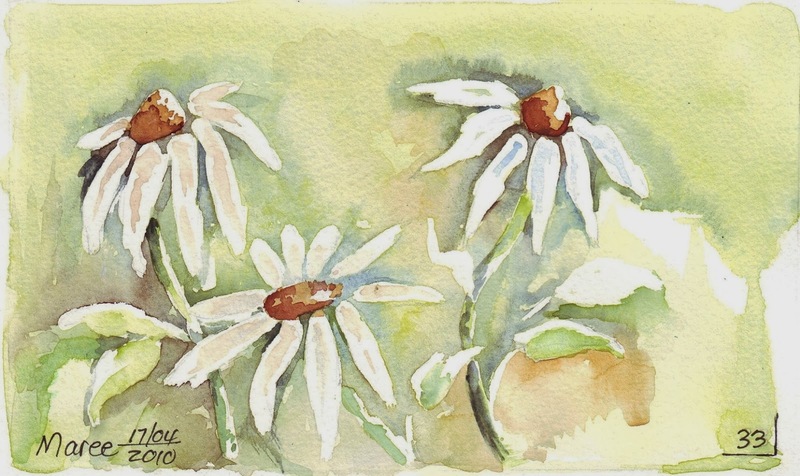 As a child I always admired the Shasta Daisies in my father’s garden. What I remember most was the dazzling brightness of the white blooms that always offset the bright colours of the dahlias, larkspur, gazanias, arctotis and zinnias that grew so prolifically under the African sun. The simple white flowers with yellow button centres are a symbol of purity and are perfect for cutting. Easy to grow, they are a favourite for beginner flower gardeners and are effective when planted in small groups. 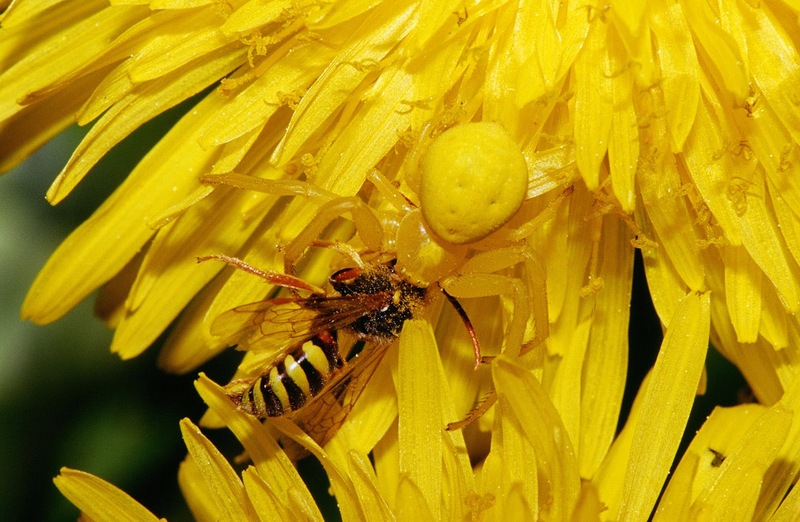 Crab Spiders seem to favour Shastas as their favorite while ambush-hunting their prey in flowers. 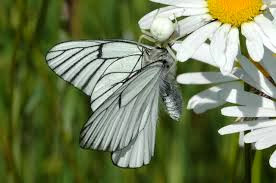 These tiny spiders take on the colour of the flower they're sitting on and it's wonderful to come across a pure white or bright yellow little specimen on your flowers. 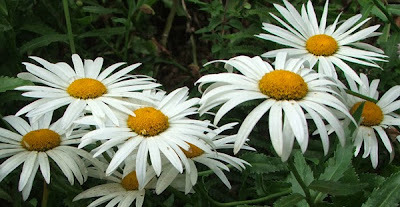 Until recently, Shasta Daisies were considered members of the Chrysanthemum family. 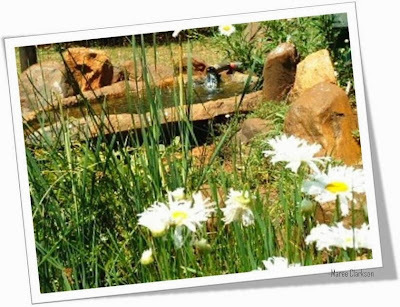 But the daisies’ lack of fragrance and hairless stems caused them to be recently reclassified to Leucanthemum, the Sunflower family. These Daisies like rich, fast draining soil, ample water and lots of sunshine. However, they are hardy and will tolerate poor soil conditions and partial shade. Work some old animal manure or compost into the soil to help promote abundant blooms. Picking often and cutting off dead flowers will extend their bloom period. So do yourself a favour and get some of these easy-growing, sun-loving daisies for your garden and you'll always have an abundance of butterflies and ready-to-pick flowers for the vase.